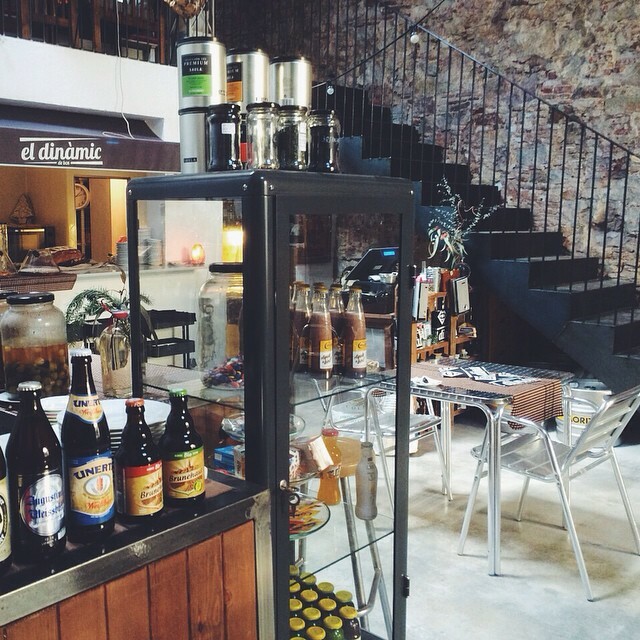 One Saturday early evening, after a planned trip to the cinema was thwarted by a huge queue, we came upon el dinàmic in Sant Antoni. An open plan restaurant with high ceilings, we chose a table on the mezzanine level, overlooking the rest of the restaurant. Friendly service, a homely atmosphere and comfort food warmly greeted us. We chose two of the small tostades to start with – one marinated salmon & one butifarra sausage – which at 2 euros each we great value – and perfect for a light bite to get our juices flowing. It was still winter, and feeling the cold outside (and with me nursing a hangover) the simple but filling menu options were perfect – I chose canelones (cannelloni) stuffed with minced meat and smothered in a cheesy béchamel sauce, and my companion selected a beef stew, which reminded me of my mum’s cooking back home. The portions were just right, not huge, but filling, and certainly enough for what we wanted. Both declining dessert (unusually! 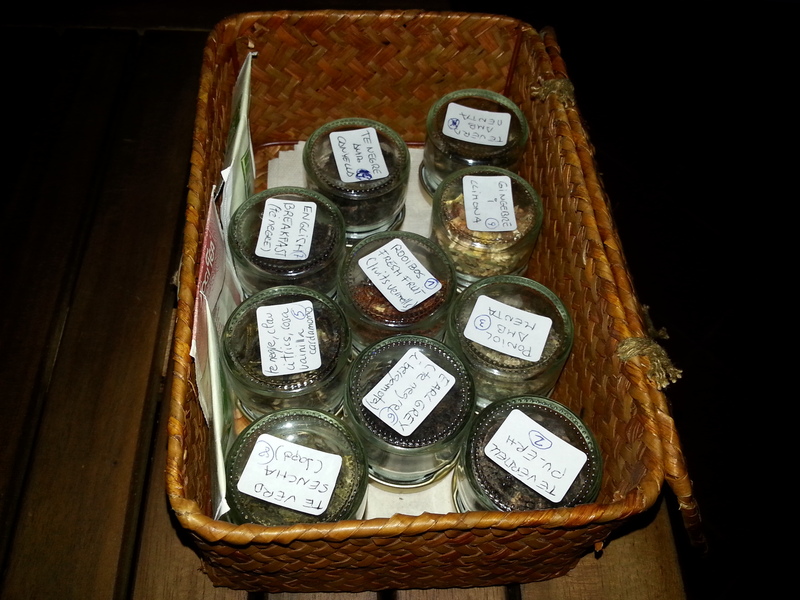 ), my friend ordered a herbal tea, and was brought a cute little hamper filled with mini jars of tea to choose from. The little touches like this added to an enjoyable experience; from the wall of living plants, to the real towels in the bathroom, the restaurant felt like a home away from home. 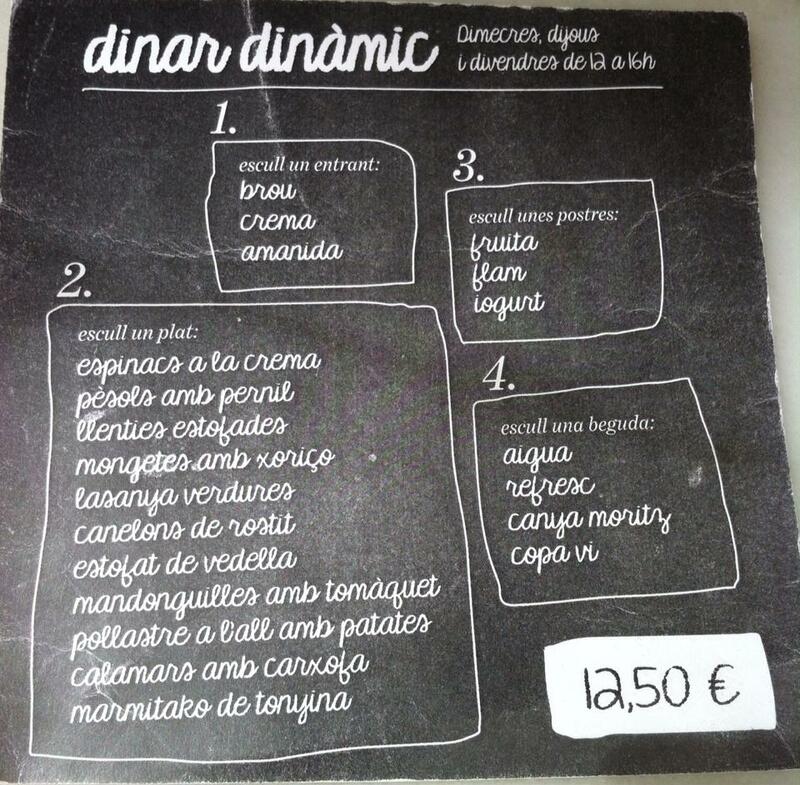 I would recommend, and they do a menu del día for €12.50 during the week too.